Unleash your inner movie star with these stunning crystal drop star earrings. Let them shine on your wedding day or at a glitzy ball. 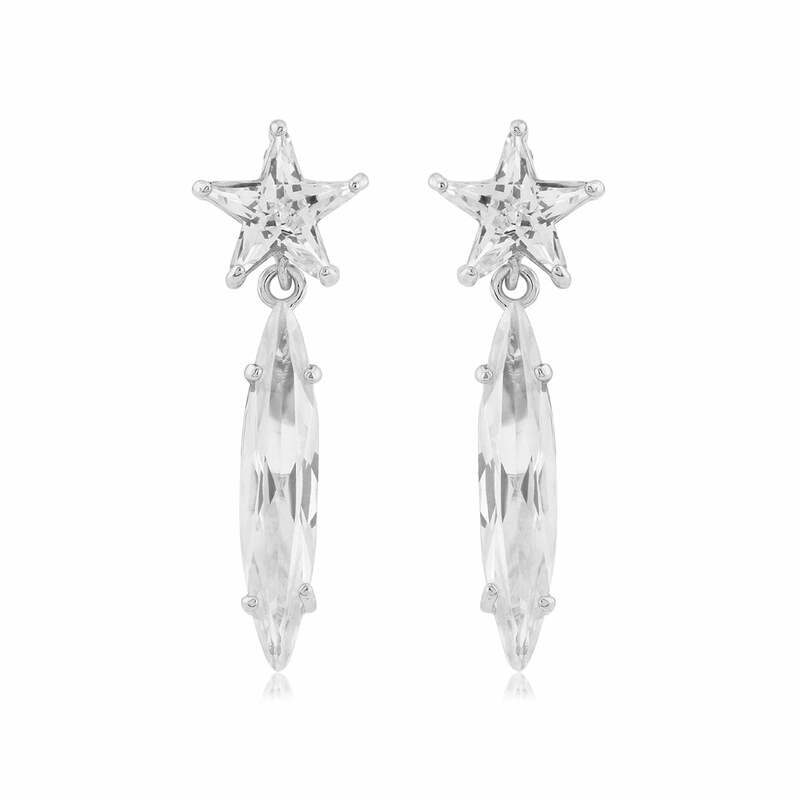 Our sensational sparkling Shooting Star Earrings will leave you starstruck and ready to unleash your inner Starlet! Classic yet so on-trend, they feature a chic elongated marquise Cubic Zirconia suspended from a dainty star which will delicately twinkle as it catches the light. The perfect pair to dress up every outfit, you can wear them with our coordinating Starlight Pendant for a romantic dinner date or team with a statement crystal bangle for a night on the town. Classic bridal earrings, Starlight will tie into a Star wedding theme or dress up a vintage inspired gown with a touch of 1940s Hollywood pizzazz. Or why not gift them as a gift to your beautiful bridesmaids who will treasure their beauty as well as the memories they will hold.